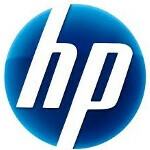 Earlier this year, just days after HP decided to stop manufacturing products powered by webOS, the company decided to get rid of the rest of its HP TouchPad inventory by pricing the tablet at a discount during what became known as the "Fire Sale". While the original Fire Sale was offered by retailers like Best Buy, this time around the sale will be available only at HP's eBay store. Thanks to the sale, the HP TouchPad had a 17% share of the U.S. tablet market as of last month, putting it second only to the Apple iPad. The sale starts at 6pm Central time this Sunday. The 16GB tablet will cost $99 while the 32GB variant will be priced at $149. Quantities will be limited and the tablets will have a 90 day warranty. Unlike the original Fire Sale, the models being sold are refurbished and buyers are limited to buying two tablets. An additional three-piece accessory kit bundling a case, wireless keyboard and a charging dock will be offered for $79. Just in case you have let the specs slip from your mind, the HP TouchPad has a 10 inch display with resolution of 1024 x 768. Under the hood lies a dual-core 1.2GHz Qualcomm Snapdragon processor with 1GB of RAM aboard with webOS 3.0 installed. HP obviously put this together in order to be ready for the holiday shopping season. If I had $99, I would buy one. I would take this over that Amazon Kindle in a heartbeat. Well, never mind... they are refurbished and bundled in this deal... forget it. I wish I had had $99 with which to buy a new one when Best Buy did their fire sale... crud. Refurbished garbage for $99?!! So not worth it. This tablet actually has the same ram and weaker processor than my Skyrocket. I've had nothing but bad luck with refurbished electronics. NEVER AGAIN. It'll probably be a huge headache trying to exchange a busted one. Crap tablet at a decent price? Shut up and take my money! Of they get an ICS ROM ticking on it then maybe but only under that circumstance. 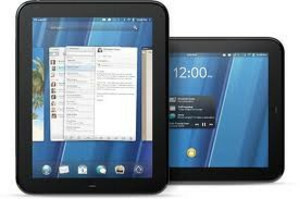 If not ill get an HTC Flyer for $299 or a galaxy tab 8.9. When it IS updated to ICS the difference between a Tegra 2 or Tegra 3 chip unless you are into gaming. I've boycotted video games after Skyrim was eating up most of my study time. Despite it being a really supbar tablet, it is definitely worth $100. I got mine during the first sale and even though it is rather slow and not much to it as far as app goes, IT WAS ONLY $100!! How could that not be worth it. Not to mention once cyanogen comes out of alpha it will make the tablet a great buy. I am satisfied with the Playbook, and its a better tablet than this, its worth the extra $100 over a refurb of this. Maybe if they were brand new I'd bite.